More than 1,000 young robotics enthusiasts in grades 4-8 throughout greater Harris County come together for the 9th annual All-Earth Ecobot Challenge on two consecutive Saturdays, April 22 and 29 from 8 a.m.-5 p.m. Their challenges include maritime missions, vaccine development, flood control and forest firefighting. 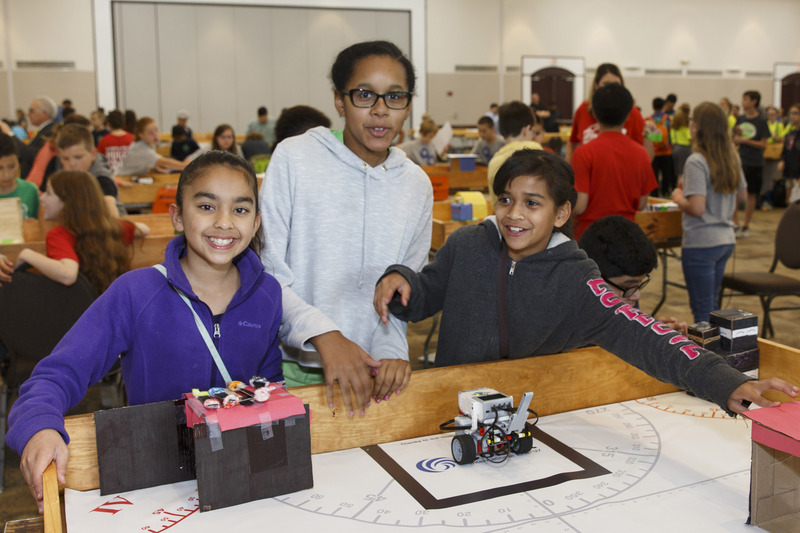 The All-Earth Ecobot Challenge is coordinated by the Education Foundation of Harris County and the Center for Afterschool, Summer and Enrichment for Kids, or CASE for Kids, a division of Harris County Department of Education. The challenge is one of the largest robotics events for students in Texas and has touched the lives of 6,000 students since its inception. The students work on their robotics challenges using the Lego Mindstorm kits in their afterschool programs and through community organizations. Robotics has become a mainstay as a youth hobby, just like cheerleading, soccer or chess. Robotics is also embedded into careers as companies look for new talent and lend support to future young engineers. Corporate sponsors include Amec Foster Wheeler, Oceaneering and CenterPoint Energy. Foundation sponsors include Brown Foundation, the Houston Foundation and Houston Super Bowl Host Committee & National Football League Foundation. Presenting sponsors are the Education Foundation of Harris County, CASE for Kids and HCDE. About Harris County Department of Education: HCDE helps school districts in the state’s largest county meet the needs of uniquely challenged learners, directly serving students at their schools or one of four HCDE-operated campuses across the county. View our video and learn more about these services and more at www.hcde-texas.org.